The Vacmaster 4000 high pressure water injection pump onboard to safely assist in excavating cemented soils. Safe and non-invasive technique used for locating subsurface utilities. Uncover possible utilities by visually inspecting the upper 5–10 feet of top soil. High pressure water injection pump onboard to safely assist in excavating cemented soils. Equipped with temporary hydraulic holding tank to minimize cleanup. Air filters onboard help mitigate dust during excavation in the street or busy areas. Recommended by Digalert and registered with ARB. Once a location is cleared for underground utilities native soil can be used for backfill or put in drums. Equipped with tamper for compacting soil after native soil has been backfilled. Saw cutter, jackhammer, and coring machine available for cutting through asphalt and concrete. 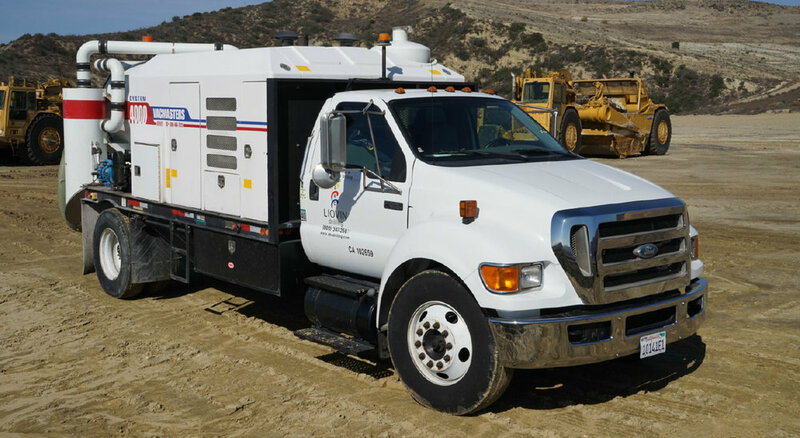 Minimize risk of downtime and positively identify all subsurface utilities without relying on as-builts.